Hi, I would like to know if it is possible to download a demo version for QR-Code 2D Font and Encoder. Thank you very much ! Definitely! 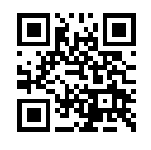 You may download the demo version of the of the QR Code Font and Encoder Package.